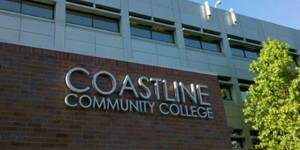 Coastline Community College was founded in 1976. The school was originally intended to be a distance learning college, but now offers in-class and distance learning courses. The school is a community college located in Fountain Valley, California, United States. The school is committed to their students’ success through flexible and accessible learning practices. Coastline Community College offers a wide variety of degrees in the Arts and Sciences. These courses are used to prepare students for college or university. There are also career and technical courses available that can lead to an occupational certificate. Coastline Community College offers distance education in a variety of modalities, including tele-courses and the use of Pocket Personal Computers. The distance learning programs showcases an open source course management system called Seaport. The College’s Military Outreach program delivers courses to every branch of the U.S. Armed Services. The college offers many different general education programs to prepare for a four year university. It also offers Career and Technical Education courses and certificates, as well as hundreds of online classes and complete online degree programs. There are even courses for those who have Acquired Brain Injury. This means that there are specific educational courses for those who have suffered a brain injury. Coastline Community College has also worked closeley with the Workforce Investment Board. This collaboration offers employment services for job seekers. Coastline Community College is part of the Coast Community College District. In order to apply at Coastline Community College students must be at least 18 years or older, have graduated from high school and passed the California High School Certificate of Proficiency Test. The college is part of the California Community Colleges System. Within that system every community college has the same tuition rate (Currently it is at $36/unit starting in fall 2011). Non-resident tuition is $179.00 per unit plus $35.00 per unit Non-Resident Capital Outlay. Approximately only 5% of the student body is currently from out of state. For students that may require financial assistance in paying tuition can look to financial aid resources within the school. Coastline Community College has a very unique campus. The campus is very spread-out, offering courses at various satellite locations located in the Coastline Community College District. The College has three main mini-campuses. Each campus showcasing the beauty of California. The main administration building which offers a bookstore is located in Fountain Valley. Coastline Community College is committed to student success through accessible and flexible education within and beyond the traditional classroom. A majority of students take at least one class via the College’s Distance Learning program, which allows flexible learning via the internet, CD-ROM, tele-courses, and classes on hand-held PDA. There are many different extra-curricular activities for students to get involved in during their time at Coastline Community College including dance, sports, and choral groups. The school’s mascot is the dolphin, although they have no official sports teams. Students can enjoy sports on their own accord with many non-official recreational teams being created by students for other students to participate in. Many graduates from Coastline Community College have gone on and accredit their successes to the time they spent at the college. Many graduates have gone on to have fulfilling careers in their fields of study.